Hoogeboom, who serves as an assistant professor at Radboud, was invited to speak to alumni, faculty, students, and staff during the GW Physical Therapy Program (PT) Anniversary Celebration on Jan. 24. More than 250 guests attended the event, including Emma Stokes, PhD, president of the World Confederation of Physical Therapy and Joyce T.H. Wang, MD, MPH, PhD, senior adviser and director of the health division at the Taipei Economic and Cultural Office in the United States. 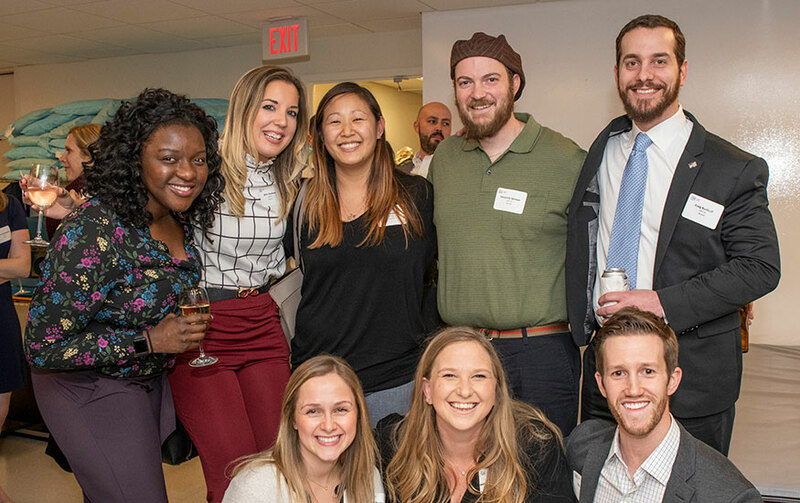 Alumni at the event had the opportunity to catch up with former classmates, discover how the PT program has evolved since they were at GW, and celebrate 20 years of the program at GW. Program highlights include 100 percent first time pass rates on the national physical therapy licensing exam for nine years in a row, as well as a 10-year affirmation of accreditation with commendation from the Commission on Accreditation in Physical Therapy Education. Event attendee Hayley Gillen, a second-year PT student, said that when she arrived at GW, she instantly felt at home. Hoogeboom’s address to the PTs focused on his research exploring the role of physical therapists practicing in acute care in the hospitals and the long held tradition of keeping patients in bed. Hoogeboom shared strategies his team used to get patients out of bed during their hospital stay, including patient education. Outcomes support the research with a reduction in hospital length of stay of up to 14 percent and a significant increase in patient discharges directly to home. The anniversary event, hosted at 2000 Pennsylvania Ave., was held during the 2019 American Physical Therapy Association Combined Sections Meeting in Washington, D.C.